In 1879, James Ritty, a saloonkeeper from Dayton, Ohio with his brother, John, who was a mechanic, invented the first cash register, which prevented employees from stealing cash revenue. Ritty was concerned that his bar wasn't profiting enough because crooked employees were stealing money rather than depositing them. He was afraid that he would be on the brink of having to close it down and sought the way to solve this problem. Once during his trip to Europe on a steamboat, Ritty saw a mechanism that counted how many times the ship's propeller went around. He wondered how he could make a device like that, but for recording cash transactions. The device had two rows of keys, each of it noted cash amount, and a dial with two arrows – one for dollars and one for cents. 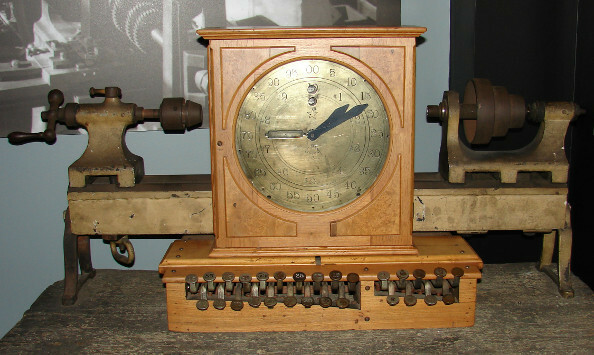 In the first model, each cash transaction was fixed by the dial. But later on, the indicator was added, which showed the purchase price for both the cashier and the buyer. After the indicator showed the amount, which the cashier needs to put into the cash drawer, the temptation to withhold money for yourself became weaker. Ritty's machine did not have a cash drawer. Instead, it simply recorded the number of sales and also the amount of each one. It allowed the owner to keep an accurate track of the number of sales and the amount of each sale that was made. After that, Eckert made some improvements of the Ritty's machine, and from that point, further cash register formation began.